I thought the other sun glares were a little too in your face. 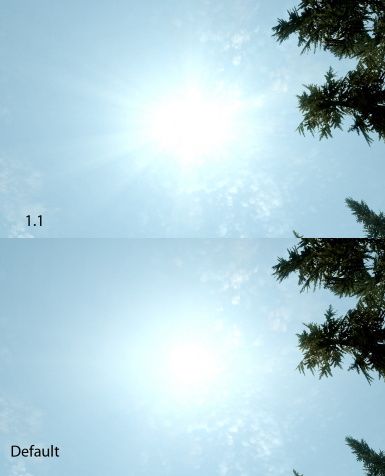 No improved sun glare was provided through Bethesda's High Res Texture Pack. I thought the other sun glares were a little too in your face and my original wasn't very realistic so I made this mainly for myself and thought I'd share it. 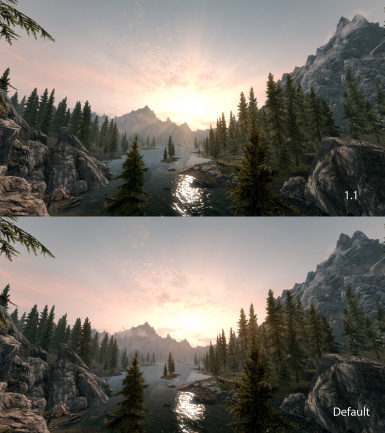 It's more in line with Bethesda's original glare so the difference isn't too drastic. Extract "Data" folder from 7zip file and place in [...]\steamapps\common\skyrim folder. Extract "Data" folder from 7zip file and place in [...]\steamapps\common\skyrim folder and overwrite everything.